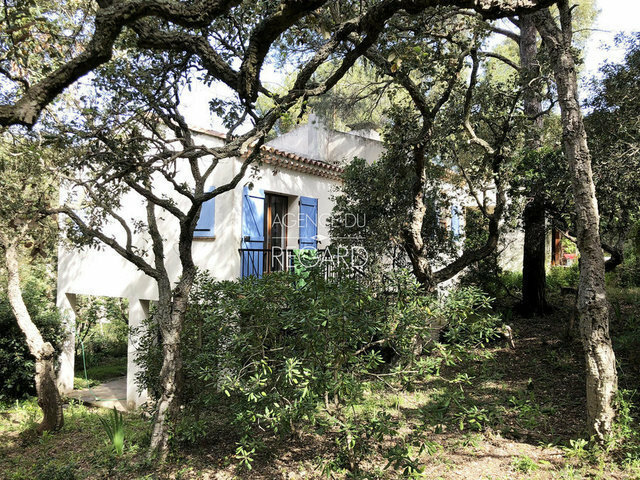 This property of about 1,748sqm is located in the private and guarded domain of Cap Bénat in Bormes-les-Mimosas. It is gently sloping and decorated with typical Mediterranean species and old trees. The plot is bordered by a green space, protecting it from overlooking or any other construction. The house of approximately 142sqm has 5 bedrooms and a beautiful living room with a stone wall and open fireplace opening onto a terrace. Garage.